The odds of that happening, of course, are astronomical, yet many people still play. It's the ultimate fantasy: Walk into a store, plunk down a dollar, and with nothing but luck — really extraordinary luck — you win a giant lottery. Suddenly, you're rich as a sultan with enough money to buy an NBA team or your own island. The odds of that happening, of course, are astronomical. But tell that to the optimists and dreamers across the country who lined up at gas stations, mini-marts and drug stores for the last-minute buying frenzy in the Mega Millions jackpot. 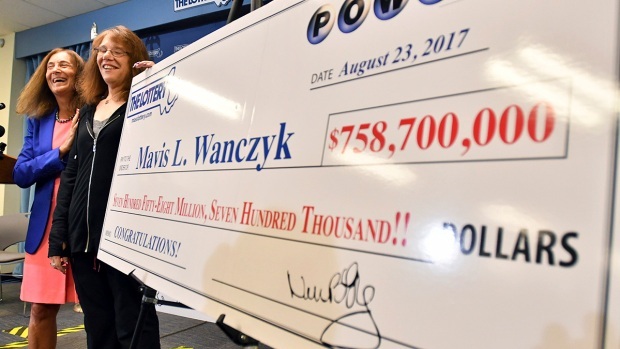 The $586 million prize on Monday grew to $636 million Tuesday, and it is not expected to go up again before the drawing Tuesday night. So what drives people to play, and what makes them think their $1 investment— among the many, many millions — will bring staggering wealth? "It's the same question as to why do people gamble," said Stephen Goldbart, author of "Affluence Intelligence" and co-director of the Money, Meaning & Choices Institute in California. "It's a desire to improve your life in a way that's driven by fantasy. ... The bigger the fantasy, the tastier it gets." In a piece called "Lottery-itis!," Goldbart and co-author Joan DiFuria wrote on their blog last year on the Psychology Today website that in times of economic stress, playing the lottery is a way of coping with financial anxieties and uncertainty. "We may seek a magic pill to make us feel better," they wrote. "Ah yes, buy a lottery ticket. Feel again like you did when you were a child, having hope that a better day will come, that some big thing will happen that will make everything right, set the course on track. " The Mega Millions jackpot soared to $636 million on Tuesday, making it the second largest in U.S. history, behind the $656 million record set in a March 2012 drawing. The new huge prize stems from a major game revamp in October that dramatically reduced the odds of winning. If no one wins Tuesday night and the jackpot rolls over past the next drawing scheduled Friday, it will reach $1 billion, according to Paula Otto, executive director of the Virginia Lottery and Mega Millions' lead director. UpdatedGeorgia Jackpot Winner: "It's Like I'm Still Dreaming"
Between 65 and 70 percent of roughly 259 million possible number combinations will be in play when the numbers are drawn, Otto says. For the ticket-buying optimists, that's no deterrent. "Even though the odds are against you, it's just the excitement of, 'Hey, I might wake up one day and be a millionaire,'" says Chris Scales, a 31-year-old hot dog vendor in downtown Nashville, Tenn., who brings in about $35,000 a year "if I really hustle." He usually reserves his lottery playing for jackpots of at least $40 million. 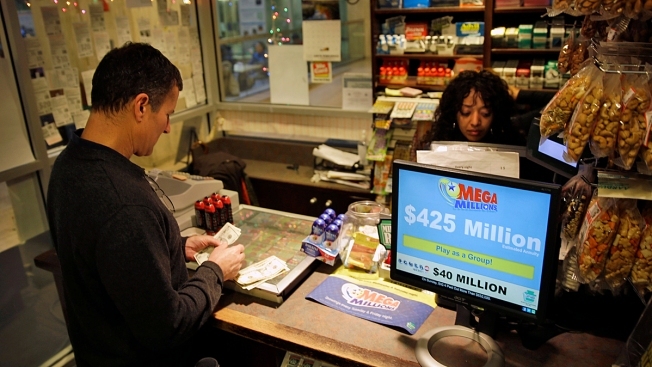 The incredibly remote odds don't really sink in for people, says George Loewenstein, a professor of economics and psychology at Carnegie Mellon University who has researched the motives underlying lottery ticket purchases. "People don't really understand probabilities at all," he says. "Once you have a bunch of zeroes, it doesn't matter how many you have — one in 10,000, one in a million or one in a billion. ... People do understand the meaning of the word 'largest.' They overact to one dimension and underreact to the other." They also cling to a more romantic notion: Amazing things happen to others, so why not for me? "When people are desperately sick, there's always a part of the brain that thinks there will be a miracle cure," Loewenstein says. "If you want something to be true, your brain is awfully good at figuring out reasons, magical ones, that there's a good likelihood that it is true. The desire to win does drive a certain kind of frenzied optimism." That frenzy can grow during the holiday season, when financial hardships become more glaring and people feel pressure to spend money they don't have to demonstrate their love. "If you have plenty of money in the bank, you're not likely to feel the need to buy a lottery ticket," Goldbart explains. "But if there's something missing financially and emotionally and you're thinking, 'I can't get a raise or I'm not likely to get another job,' you buy a ticket as a psychological compensation plan." The staggering size of the Mega Millions jackpot also makes this lottery special, attracting people who want to participate in a social, news-making event, says Jane Risen, an associate professor of behavioral science at the University of Chicago's Booth School of Business. "The lottery happens every day," she says, "but for some people it has to reach almost a cultural threshold before it becomes the thing to think about." What develops, she says, is a feeling of "anticipated regret." In short, people worry about not playing. "It's some version of "What's the harm? I wouldn't want to be the idiot who didn't play the Mega Millions. What if I was the winner?'" Risen says. "It's a better safe-than-sorry philosophy: 'I'd better buy a lottery ticket just in case I was going to the winner.'" Kathy Malzewski, a 67-year-old retiree from Milwaukee, never buys Mega Million tickets. But while she was in a grocery store Monday, buying scratch-off tickets as stocking stuffers, she decided on a whim to buy a single ticket because of the enormous jackpot. What would she do if she won? "I'd go into a nice retirement community myself, but I'd be generous," she said softly. "I'd help Habitat for Humanity, help the homeless, give a lot to charity." Malzewski also said she'd travel around the United States. She saw the ocean for the first time in May and recently visited the Grand Canyon. She'd like to go to New York or Florida's Everglades as well. "Why not?" she said with a smile. "There are so many places to see." She'll know Tuesday night if she has an instant way to finance those dreams. "I'm not lucky. I never win anything," she says. "But I might today. A person always has a little hope."